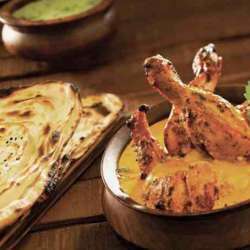 Let's inaugurate Protected content having a delicious Punjabi cuisine from Protected content the capital of the northern Indian states of Punjab and Haryana, was designed by the Swiss-French modernist architect, Le Corbusier. Join me & refill your body with warm butterny cuisine 😋. If your to come then sign in otherwise see you at a next curry dinner. Best wishes & have fun.